Spina bifida doesn’t slow Alayna down. She loves playing basketball and pranking her older sister. Loop by loop, 10-year-old Alayna Mendenhall weaved her way to a goal of having a service dog by her side. 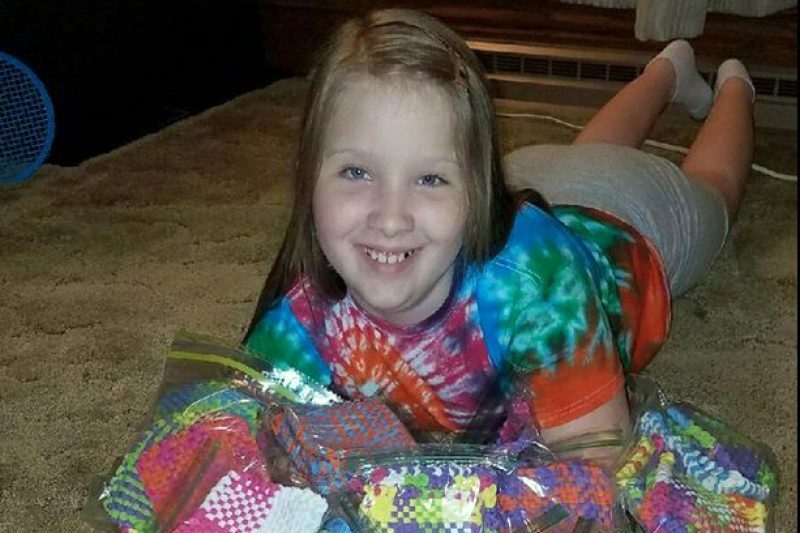 Born with spina bifida, the 5th grader from Massillon weaves colorful potholders, which she sells for $3 each on Etsy.com. The potholder sales plus a GoFundMe page raised the $8,000 she needs for a specially trained dog. “It would help me open doors and pick up things I drop. If I fall, I would push on him to get up,” said Alayna. Spina bifida is a birth defect of the spinal column that sometimes causes physical disabilities. Alayna uses a wheelchair and a walker, and she has weakness on her right side. She first came to Akron Children’s Hospital as a newborn in the Neonatal Intensive Care Unit. She has been a patient here ever since. Alayna has her mother Monica’s blue eyes, a quick smile and a playful sense of humor. She likes pranking her older sister — “and I like making slime,” she said during a recent visit to the hospital for physical therapy. She also has taken to wheelchair basketball. 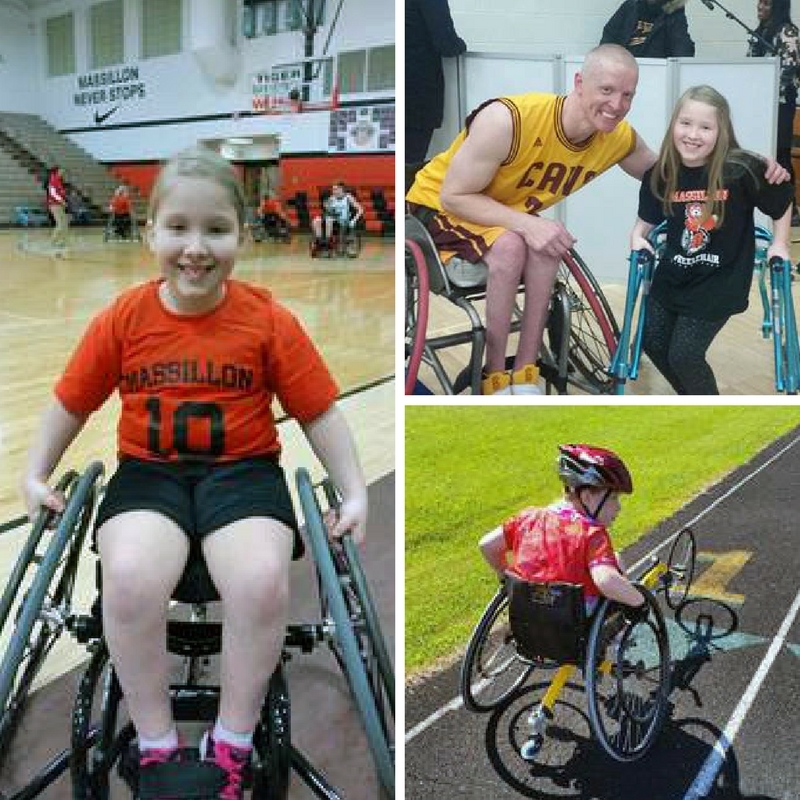 She plays for the Massillon Wheelchair Tigers — 1 of only 2 school-based wheelchair teams in Ohio last season. Monica said basketball increased Alayna’s strength and endurance, and bolstered her self-esteem. Monica said as much to Ohio legislators earlier this year. 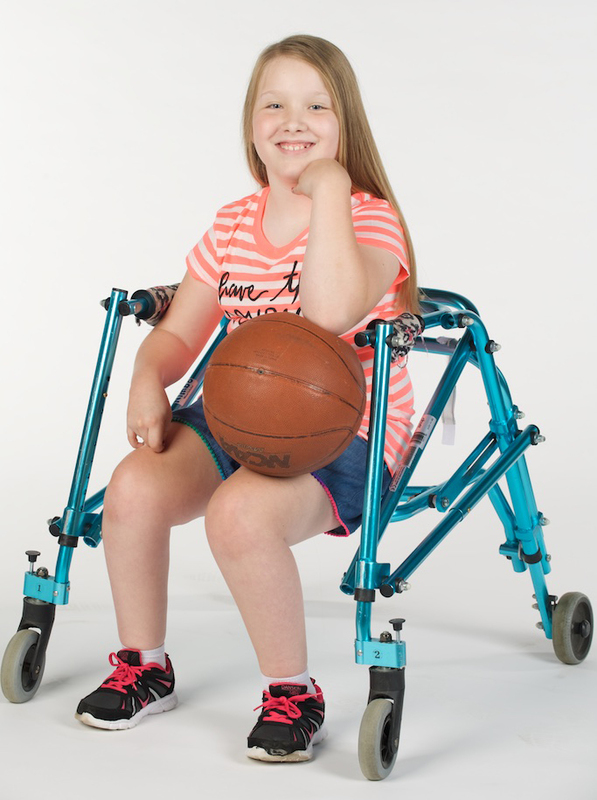 She and Alayna testified at the Statehouse on behalf of the Adaptive Sports Program of Ohio, a nonprofit that sponsors interscholastic wheelchair basketball and other sporting activities for people with physical disabilities. The Massillon Wheelchair Tigers and the Wooster Wheelchair Generals were part of a pilot program in 2016-17. The organization is seeking private and state funding to expand to other schools. Lisa Followay, executive director of Adaptive Sports Program of Ohio, said sports are important to the health and well being of children with disabilities. After one season in the pilot program, almost half the kids improved academically and 77% saw social, emotional and physical improvements. The wheelchair basketball league expects to add 3 new school-based teams in the coming season. 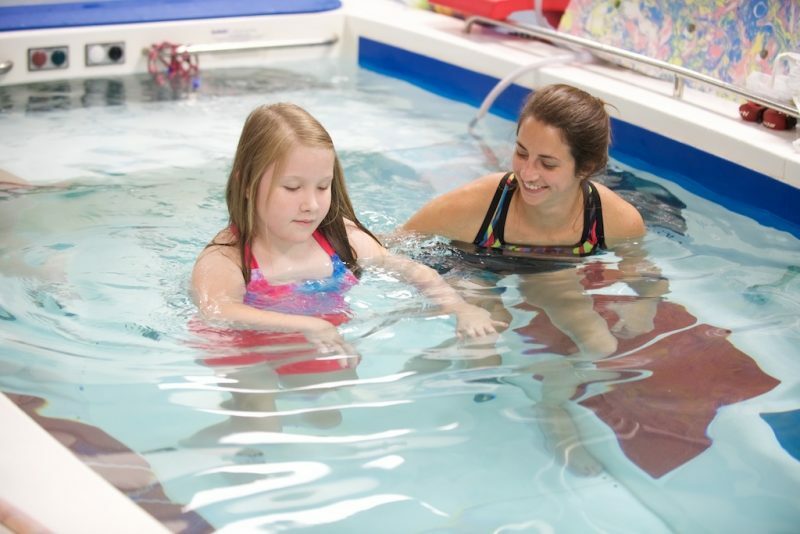 Alayna has fun while building strength during regular water therapy sessions at Akron Children’s. In the meantime, Alayna said she looks forward to playing against new teams this coming season. She was also looking forward to a possible weekend trip to check out a 14-week-old German shepherd in Missouri. A local trainer working with her family connected with a breeder there. “We want the dog to go to school with her, go everywhere with her. We want to make sure it’s the right temperament,” Monica said. Alayna said she plans to help train the dog. They were halfway to the fundraising goal at their recent visit to Akron Children’s. Alayna was focused on getting there, one potholder at a time.